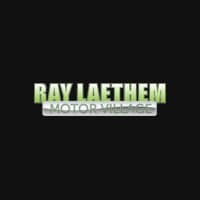 I come to Ray Laethem because I receive exceptional service from Tom and Betsy! It is not about selling a car, but they make sure that you get the right fit and price! I LOVE THEM! I always get in and out quickly, which makes a huge difference when you own your own company. My service advisor Donnell Reymond is always courteous and professional when I have service done and advises me on what may be needed in the upcoming future to keep our van running smoothly. Great job Ray Laetham Buick GMC!! I had service (oil change/tire rotation) done. Made an appointment ahead of time, and it certainly improved wait time. I barely was settled into the wait area, when the service person came in with the good news the tasks were completed. The experience was pleasant and easy. This is my fourth vehicle from Ray Laethem GMC dealership. So I can honestly say I am family rather than just a customer. I love the staff, especially Betsy Crain. She is a professional in her craft. She goes beyond helping you, doing all the leg work and making you feel comfortable and satisfied with the purchase of your vehicle. 5 ***** to my dealership. Betsy and Tom are so professional, helpful, and dedicated to customer satisfaction. It was a pleasure working with them both and we will certainly be lifelong customers!